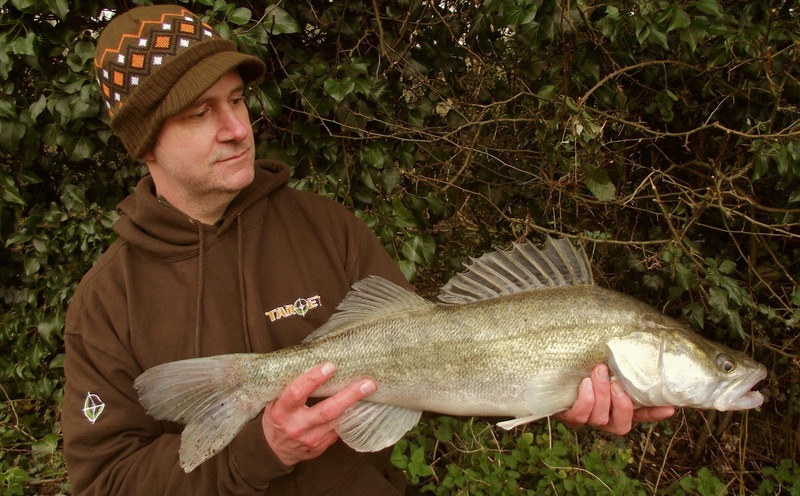 With the Zander caught from ‘Mick’s Bush’ still fresh in my mind and the potential we may have uncovered I was eager to get out on the bank again. 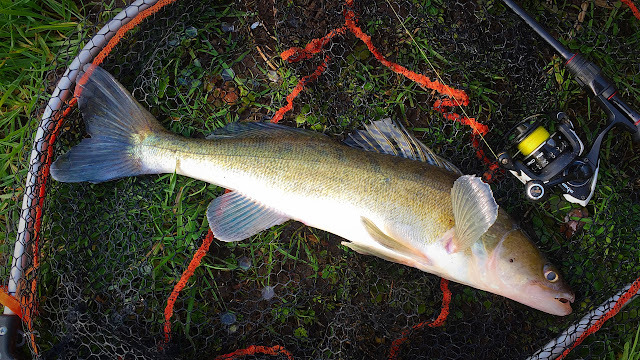 This short after work session may be 20 miles away from the scene of the capture of my PB but this stretch has been reputed to have produced some decent Zander in the past and it’s far too handy for me to ignore. The lure rod remained in the garage and was swapped for an identical float set-up and it was an all out in to dusk deadbait attack. 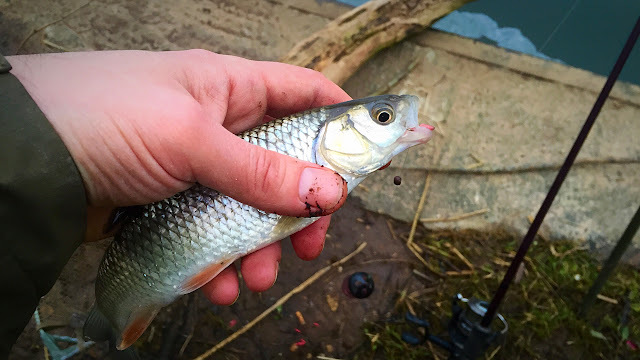 I’ve had a handful of session trying for a river fish so I’ll not comment, but certainly for canal Zander in my neck of the woods every size of Zander likes a chunk of roach but rarely do I catch anything sizeable on the lure. Well you say that, my best lure caught fish equaled my previous PB of 5lb 4oz’s but that was a one-off as that was a standout fish out of all the schoolies I'd caught. I’ve tried a large lure but anything over a 5g jig head I don’t feel like I’m control of it and I pick up so much rubbish from the bed it starts to get annoying. Small ‘schoolies’ like the sanctuary and security of a large pack but I’m sure then they are confident and big enough they leave their friends and foes and eventually their mothers gill strings to tackle the big bad wide world on their own. I’d had mediocre results fishing here previously but the more I fish for Zander the more I appreciate them as a species. Having spent a considerable amount of time fishing for them I’ve gone from utterly demoralised to merely confused. However I’m gradually starting to work them out and my catch results have improved because of it. I only fish small sections within my patch so just looking at my local canal network I’ve hardly scratched the surface. Of course there are double figure fish to be had, that’s why I'm fully in to this quest…. I do love a challenge…. 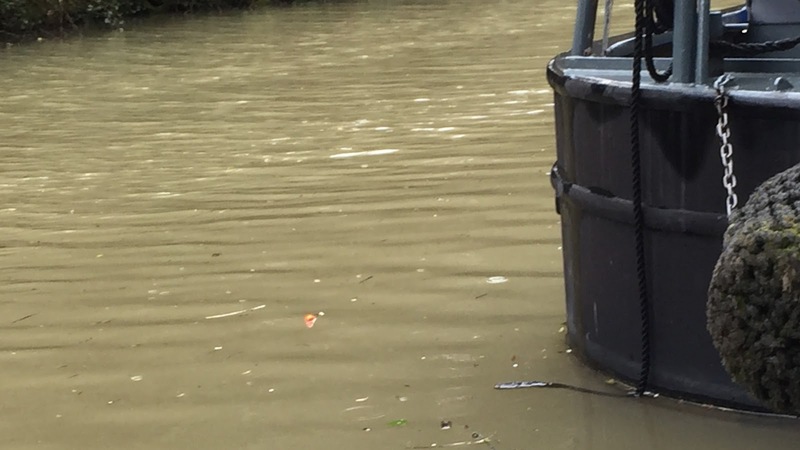 So how big can they go in the canal network….? I’m talking proper fish not those embarrassing photos that appear in the angling press and social media from time to time. I bet there are some proper freaks around so at a guess over 12 or 13lb, quite possibly I reckon. I’d modified the two Drennen Zeppler’s and superglued on a ‘skimmed’ buffer bead to hold an isotope and planned to try the other side of a bridge from when I was here last where it's narrower to properly give the Zander (if they were in the vicinity) time to find the bait. I’m yet to find my perfect Zander float set-up but I’ve adapted this overtime and it’s getting there. I like it because it’s suitable for fishing at all depths and surface conditions which has proved troublesome in the past. Anyway back to the fishing…. The first swim had some nice far bank thick cover and the baits were positioned but after an hour without any interest I decided to fish next to the bridge, one of the baits next to some reeds, the other right under the shadow of the bridge. I've never been that successful in and around bridges but not long after the baits were positioned the float 10 yards from the mouth of the bridge narrowing was on the move. Only a small schoolie that was hooked nicely in the scissors but a fish all the same. I decided to sit it out in the last swim for the last hour and well in to dark, not a jot. I've not given up yet as I've only fished a small section of it, so here's to the same time next week. The rain had been lashing down overnight and with the kids still suffering with their post viral cough I could have easily stayed in bed and try to catch up a little more shut eye. I had some fishing to do though and had planned to meet up with Danny at a section of the local canal network. The driving conditions on-route were pretty dire with loads of standing water on the roads and I expected the cut to be a little more coloured than it actually was. It had a nice green tinge to it though with about a foot or so of visibility. The forecast had been horrific and I parked the car in a torrential downpour but it eventually eased up a little so the Poncho was donned and it was grim and bear it. The wind was gusty, the air cold so for the first hour or so it wasn’t exactly pleasant. Before he arrived I had lost a small schoolie that took a liking to the red headed small shad but as the morning went on it was obvious bait was the preferred selection on the menu and really got me thinking about possibly dumping the lure rod for an all out deadbait attack. Danny lost a fish that which was nibbling his roach head but then eventually managed a super fat spawn filled Perch on the lure. Soon after the float was on the move again and a schoolie which was well hooked in the top lip was banked. 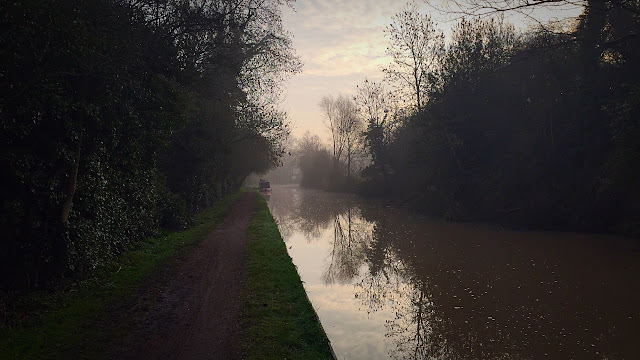 The wind was howling down the towpath and with the area becoming bleaker than a bleak thing we retraced our steps and fished in-between some moored boats. Not long after it was my over-depth float that was on the move this time but a fluffed and probably premature strike the fish after a few runs managed to lose the hook, they can be tricky fish to hook. The bait was re-positioned and sure enough within 10 minutes or so it was on the move again. I gave it a little longer this time and struck in to a scrappy little angry Zander. Only a small fish but at least it wasn’t a blank. My float set-up is fairly hefty in the scheme of things but maybe it’ the change in resistance that ‘apparently’ the fish don’t like, I’ve never found it a problem personally and found Zander can lift a heavy bobbin or drag a float around without issue. We moved to a more sheltered area that had some cover and set our traps. The surface was still choppy but with the drilled bullet acting like an anchor and the float laying on its side it’s just a matter of watching the float moving around the swim to see if it does anything unusual. A good 20 minutes or so, mine was on the move, wait, wait, that’s it, that’s it carefully does it…. Sure enough, after the third lunge the fish was off, gutted was an understatement. ….as this time it was Danny’s float on the move, but this time it was diving under the surface like a submarine. You couldn’t make it up, as the whole hooked big fish, lost big fish was now being re-lived by Danny as the story played out exactly as previously described, a nightmare, not our morning. Third time lucky? was there a pack of bigger fish here? was it a lone hungry fish who doesn’t know the term once bitten twice shy ? The baits were refreshed and back out again, 10 minutes, hang on a minute, yeap, yeap my float is moving, it went from laying on its side to upright, to laying flat again. 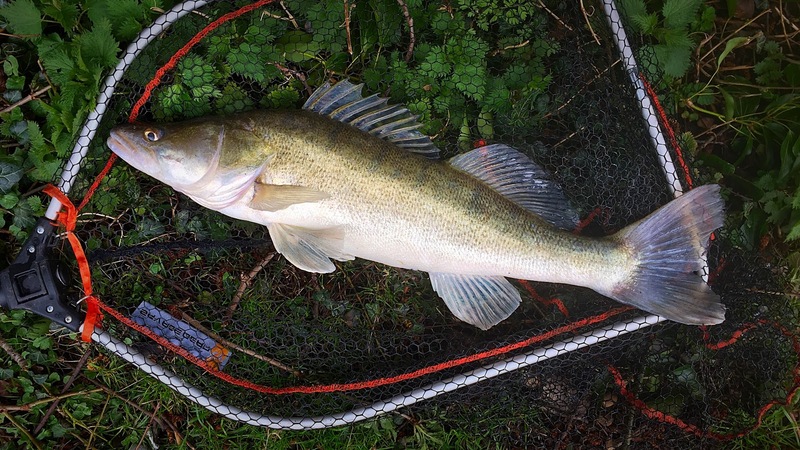 Danny was correct the tentative bite doesn’t always dictate the Zander attached to it, he’s had a near double figure fish after all so should know. The float moved downstream and it was then I decided to tighten up and lean hard in to the fish…. Oh yes, now this feels better, I felt like I had some control. The fish gave a decent fight but after a couple of spirited lunges and with Danny doing the honors the fish was in the net…. Bloody awesome, a scale of Zander I’d never seen before, my previous PB of 5lb 4oz was long gone. It looked huge in the net, a double? It cannot be can it? With the fish out of the net with the scales ready it quickly came apparent it was a very hollow fish, we both thought because of the length and the width across its head it might make around 8.5lb or maybe even 9lb but the scales went round to 7lb 6oz and were checked twice over, what really ! !, damn ! !, it looked like it would weigh more than that, deceptive or what. A squeeze of its stomach to get him to proudly show its fins only confirmed this fish had plenty of filling out to do. What the heck would a double figure fish look like, and what about a 20lb fish from the Severn ?, I really want to find out now. The ‘Mick’s Bush Swim’ (® Daniel Everett) really got me thinking about the similar looking areas I’ve walked past and ignored. The next rung up the Zander ladder that’s for sure, onwards and upwards. I’d fished here before and despite catching not a jot it was a bit of an eye opener, the canals really can throw up some excellent fish if you are prepared to put the time and effort in and just that one session really got me thinking about the little I know about the local canals I fish (from time to time) and the amount I’ve still got to learn. The sad thing is, the more information and big fish whereabouts I’m exposed to the more I think about fishing and when my next session is…. ….it’s addictive this fishing lark isn’t it. the 2 hours was up and I was cottage pie bound…. There was one particular area I wanted to concentrate on and if that didn’t produce over this session then a subsequent session would be a stone’s throw away at an area with contrasting features and outlook to see if that made any difference. The trouble with Zander is finding the shoal pockets and their patrol routes, once you discover those it really does show you that towpath foot coverage is the key to catching them and although they are widely spread throughout the canals network there are huge baron stretches that unless you know any different you’d be thinking, Zander, what Zander. The are also possibly spawning at the minute so apart from no being that interested they might also be tightly packed. 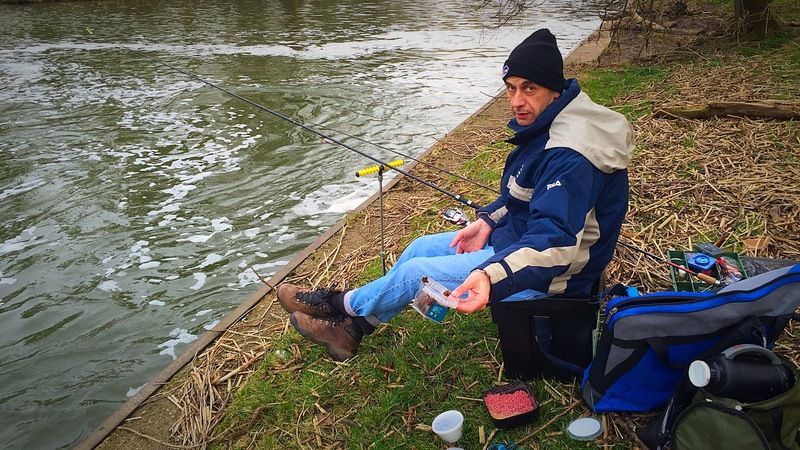 An average schoolie a near 2lber, a 4, a good fish, anything over 5lb a cracker, a double, well they are there, but where…? I’m wondering about this quest for a double and whether eventually if I do catch one it will be a massive anti-climax, what will I do when I eventually track down the Holy Grail ?, there is nothing more to do. Maybe if it fell to deadbait, I’d fish exclusively with lures? Then what, too many questions. To be honest I’ve got to try and keep up with this mission as I’ll never find out will I. So the report, like the session short and sweet, as I caught zilch, not a nibble or even a take. 3 dog walkers, a field full of rabbits, 2 bikers with the brightest lights I've even seen and a white owl kept me occupied. At least my new beanie hat worked as intended. As someone who likes to rig tinker with their Zander rigs I’m spoilt to be honest, for instance I know a certain banker swim that contains not only schoolies but also a decent stamp of relatively larger fish, within 20 minutes you’re guaranteed a fish will take a liking to the headless Roach or a red headed jig and you’ll have a fish dancing around the swim. 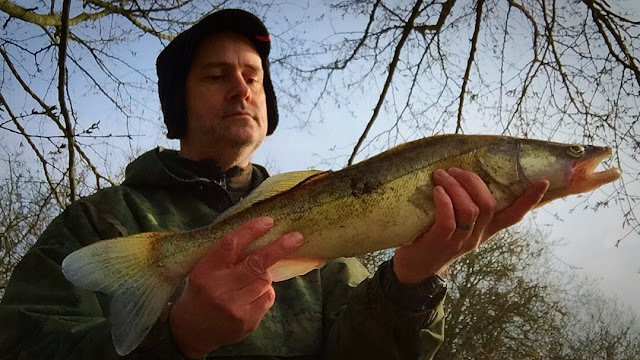 Within a ten minute radius by car or even a 20 minute walk I’m firmly in established Zander country, the local canals are awash with them you see, they are here to stay,so I might as well enjoy them as a sport fish and beats fishing a commercial fishery, well in my book anyway. 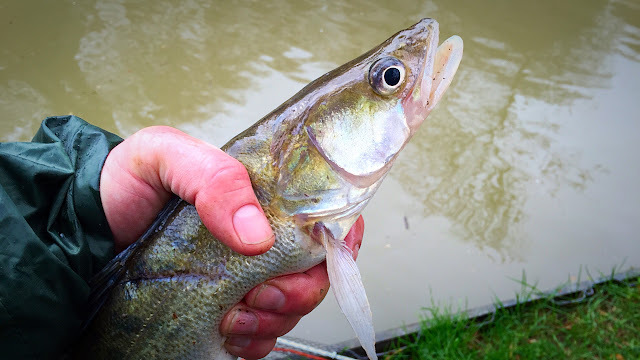 I used to catch my own Zander baits thinking that fresher the better, but over time, I’ve found they’re not that fussy so if you can stomach the cost it’s just as easy to buy some deads and save yourself the hassle and time. So recently some ‘Zander’ packs of 15-20 small roach approximately 2-3 inches turned up on my doorstep and I wanted to experiment with the hook link on my sleeper overdepth float set-up. My usual tried and trusted Jeff Hatt recommended ultimate bass hooks (left)looked a little cumbersome against the small bait even though they are fantastic for hook-ups. Now I like do like a largish baits for most of my fishing particularly the Zander and have had reasonable success on them but I wonder if scaling down a little may be beneficial and increase the runs I’m getting without detriment to the banking and the size of the fish I’m catching. So to complement the smaller baits I’ve been meddling with hooks again and for this session I was eager to try some Kamastsu Double Ryder hooks (right) (size 1) they are extensively used on the continent for live / deadbaiting for eels and Zander. 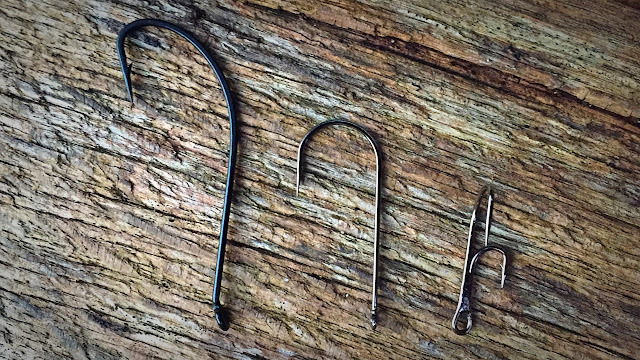 The hooks are brazed at 90º with the smaller hook being used to secure the bait. This also gives a far less bulky hook arrangement, much better for getting a small live or deadbait into the fishes mouth. The Roach was to remain full with the flanks cut to provide some ooze appeal, the bait secured via the lip on the smaller hook leaving the main hook free from any kind of resistance to hopefully aid the hook hold, and the still relatively large hook giving a scissor hold rather than being stuck down the gullet. I've also bought some size 1 Sakuma 540 Manta Hooks (middle), I particularly likes the gauge and the shank length. For big sections of Roach they look idea. I'll leave those for another day though. 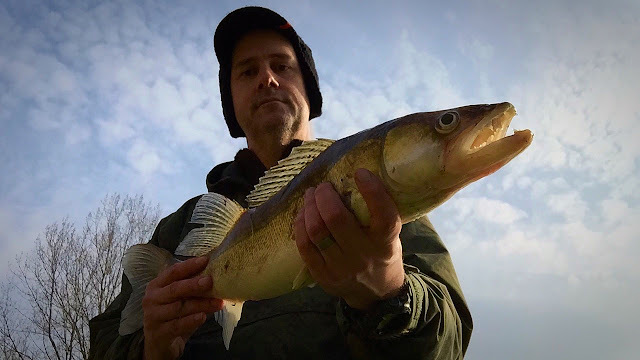 Pike are few and far between, in-fact out of the hundreds of Zander I’ve caught, only a couple or three Pike have got in the way, those three Pike were banked on fluorocarbon without issue and at the moment I’ve no reason to change. 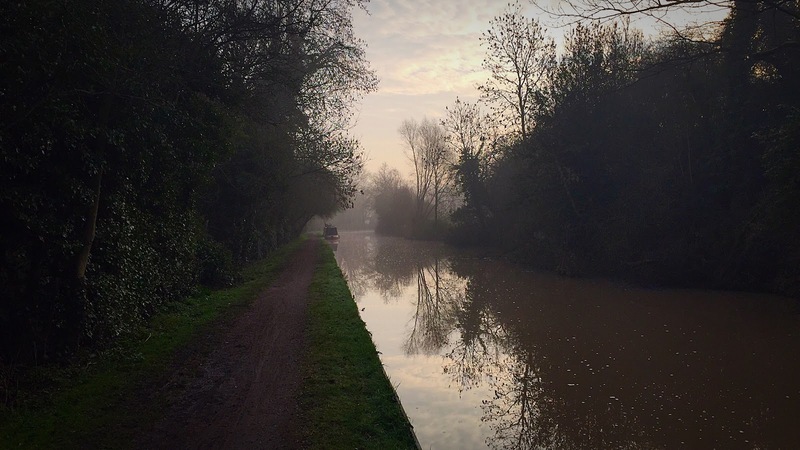 I’ve scratched the surface of the Stratford-Upon-Avon canals fairly lengthy towpath in the quest for a cut double, its 25 miles long so not an easy task, so bare with me, time on the bank is the only way that I’m going to bank a double as…. ….luck doesn’t very often come my way. So leaving the Birmingham suburbs where after 54 locks and a major junction with the Grand Union at Lapworth, and after passing through some nice villages it ends at Stratford’s rather more picturesque but great unwashed and tourist frequenting Bancroft Basin and the Royal Shakespeare Theatre. It’s amongst some of the nicer parts of the Midland canal network I fish and especially in the summer months with the sun out and a t-shirt worn some areas can actually be a nice place to be. The surrounding countryside has got wildlife in abundance and it’s not the stereotypical canal poo riddled towpath which can often appear bleak and lifeless. Women joggers usually fit, Converse tracksuits and big backsides, a rarity…. Talking of boats, they are the biggest issue, they can be a pain in the proverbials. Dawn and dusk are easily the best times to fish when the boat traffic is lighter. Now talking of dusk, I’m planning to fish more short evening sessions when the clocks go forward and that was something that I didn’t do enough of this time last year and I’m sure I’m missing a trick. What I've found is that the fish feed in waves and have patrol routes, so the problem is leave a deadbait for half an hour and you'll end up moving but then as soon as you do, 10 minutes later a fish would have intercepted it. So the more I fish different stretches and areas I get to know if it worth spending a little more time in one swim or not.Also when travelling from one swim to the next I drop the lure in to the margin and walk slowly dragging it with me, it's surprising just how many fish you'll catch just doing exactly that. Each and every swim I fished looked very fishy indeed but after the fifth swim and two miles or so covered I remained biteless. The last swim I decided to sit it out longer with a deadbait and sure enough eventually the float started to move and bob. I tightened up and lifted in to fresh air, now Zander fishing can be very frustrating, was it the hook ? was it a tiny schoolie with eyes bigger than one belly, who knows. One thing I do know though is get the bait back out there as the fish will likely still be there. This time though the float properly dragged under, again the same thing happened though, this time the bait was intact but the main hook at pierced one of the Roach's eyes so the point was shrouded. 3rd time lucky, the bait was out again, incidentally the lure was ignored. Ten minutes later, the float is on the move again, this time the fish was on, felt reasonable too but then after a couple of lunges the 2nd exit out the water the fish shook the bleeding hook, not going well is it. Bugger this, so it was out with the bass hook, and I'll give it half an hour. I had broken down the lure rod and put it back in its bag and the floats on the move again, this time I gave it a tad longer and when the float was dragged under I leaned in to the fish, yes, the fish was on. It was on a mission to throw the hook again but the fish was firmly hooked in the scissors and the bass hook had succeeded again. They certainly don't mind a big hook. So the next trip will be short and sweet and straight after work, I'm planning more midweek sessions in to dusk, hopefully the bigger fish will be biting whilst the kids are in bed. My favourite Whisky Cask Strength Finlaggaan (58%) remains a very closely-guarded secret, the distillery is something of mystery. Most people assume that it is Lagavulin. Give it a bash, it gives a big hit so ideal to aid the shuteye. Now most specialist anglers are quite rightly hush hush about where they fish, why spend the time finding the specimens only to share the detail in passing and someone who you are unlikely to see again. Barbel particulary, some anglers just don’t want to do the groundwork. Now matchmen are less likely to have closely-guarded secrets so whenever I get the chance, be it, lake, canal or river I always have a natter, I often get a whole host of information shared and it’s appreciated. I’d fished in this vicinity before but after some Chinese Whispers (most probably) I was back again. 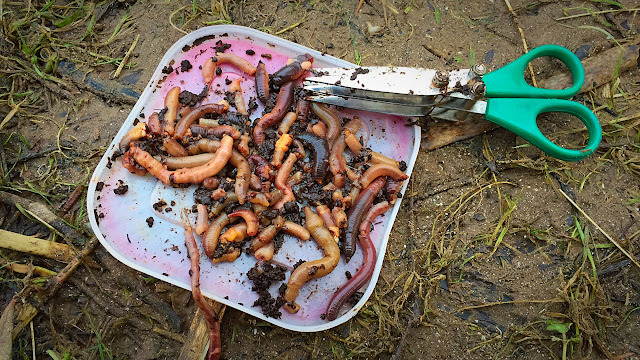 This time however gone was the slop, the pellets and maggots and it was out with the Zed gear. Now don’t tell the Wife, she doesn’t read my blog as fishing talk makes her eye glaze over but she thought I was at work not fishing down at the local canal. Friday for the majority of the automotive industry has always been a lunchtime finish (Except for JLR) so we usually make most of the kid free time but having had the Monday off I was meant to be catching up on my hours. So Thursday evening with her out with friends and the kids running amok I whacked the gear in the car and when she returned she was none the wiser. Mouths zipped please….heck I work enough as it is, I deserve some time off. The first thing I noticed was I don't think it is fished much as the lure kept on getting snagged on branches and debris. 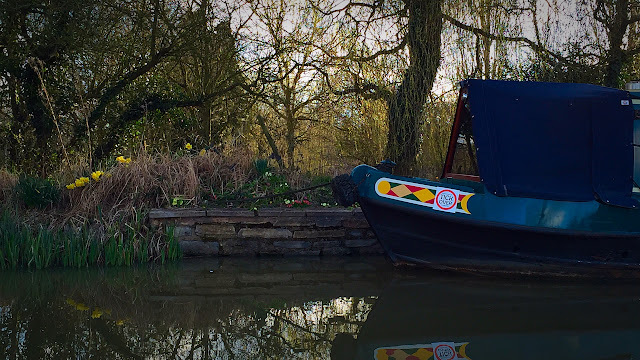 There was plenty of feature though, moored boats, bends, narrowing's, thick cover and reed beds. Lack of life mind you, no fished even topped during the near 4 hours I was there. It was cold admittedly and the majority of the stretch had really poor clarity but I'd have expected something on the lure at least when eventually the clarity improved. So the first blank on the challenge and I'm expecting many more so it didn't really surprise me. I haven't given up on this stretch though as I'm planning another session when it warms up a little. Despite the river dropping like a stone over the past week the sluice at Lucy's Mill was wide open and the river was like a raging torrent. Luckily there are some slack areas that make a few swims fishable. The river had been over the benches and in the fields, flooded the Rec park and it had been as high as I'd seen it since the major floods of 2008. The amount of floating debris was bordering on the obscene but you cannot catch fish if you haven't have a bait in the water now can you. The weir currents seem to vary so a nice slack turned in to white water and after 3 cold wind uncomfortable hours with just the odd tap on the two deadbaits it was time to move downstream to get the sun in my face and to make the fishing session more palatable. Considering the closed season starts tomorrow I'm surprised I was the only angler present. Then again most will be at work, I decided to spoil myself with a day off, as a contractor and the 3 other mouths to feed it was not to be taken lightly. The previous week had been a bit of a nightmare with all the family ill so my usual knackered sleep pattern ended up even more knackered, it was much needed battery recharging. I was after Zander but I like to hedge my bets when fishing so I also bought some cell boilies and some bright red pop-ups and whilst watching the rod tip on the main rod I made a hair rig for carp, swapped the hook-link over and whacked the rod on a bite alarm and sat back for the last hour. The largest stretch of the Warwickshire Avon I fish..
Not the greatest of fights and I was surprised when it eventually surfaced easily the biggest carp I'd caught and a bonus it came from the river. It's not secret the Warwickshire Avon contains carp but I rarely get anywhere near them. A proper chunky 20lb 7oz mirror and easily a PB, an escapee ? possibly looking at the mouth, however certainly most welcome and being over 20lb a Bruce'y Bonus of 10 for the bloggers challenge, the only bonus of my fairly average season. Yes, yes I know it's premature but I thought the rivers would be unfishable the weekend, how wrong was I, more of that later. 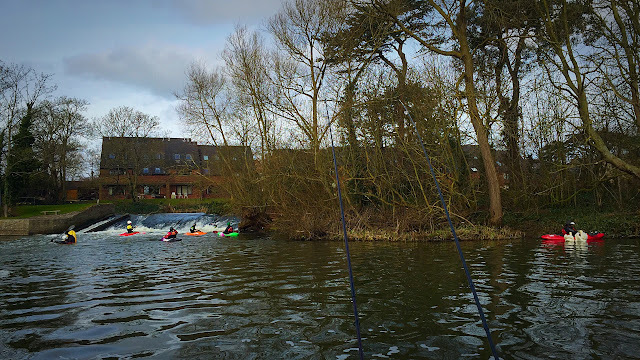 I really enjoyed the 2015 closed season Zander challenge and the quest for a cut double. Newly trodden towpaths with off the beaten track locations, some very much familiar. 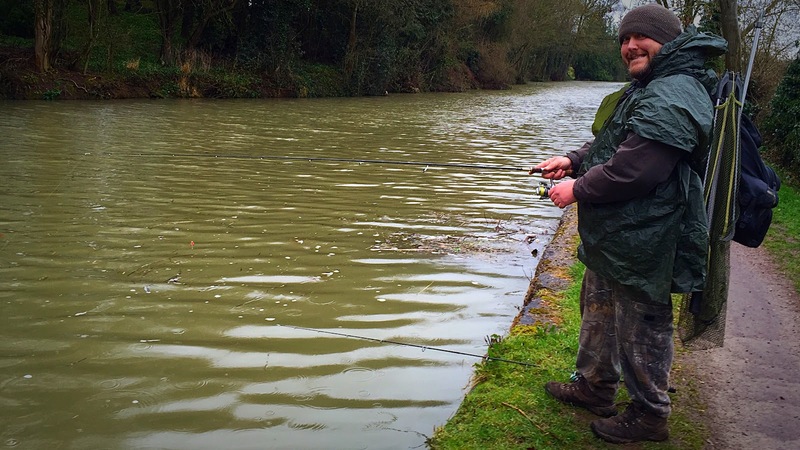 Plenty of fish were caught, many lost, with the biggest fish a PB equalling 5lb 4oz. I lost two larger fish and one that made a disturbance in the water any kid farting in the bath would be proud of. I’ve refined my two rod set-up over those 19 dedicated sessions and the result I feel is very effective for targeting Canal Zander. It may seem overkill to an outsider but the large single hook remains on the float rod and is fished over-depth. I’ve tried plenty of hooks sizes and patterns now but the decision is down to the hook-up rate and the fact that 95% of the time the fish is hooked squarely in the scissors rather than down the mouth that may need some surgery. As the barb is crushed, it is also a doddle to remove too. I had lots of success with a running rig with a heavy’ish bobbin but I like to travel light and a bankstick and bite alarm is one item of tackle I could leave behind (and I often do), there is also something very satisfying about seeing a float disappearing. Bait as usual is a headless or a sliver of Roach…. The light jig rod stays, braided line, a 0.3mm fluorocarbon hooklink with a small 5g 6.5cm shad. Until you feel a Zander properly nail the lure through the braided line and dainty carbon rod it’s difficult to describe, its additive, it even sounds great as the braid tightens, and the eyes pull towards each other and bend the blank. In my experience the deadbait does out fish the jig rod but I do like to be active when fishing these days, it also means you are more likely to pick up other predators so a blank is a rare occurrence. 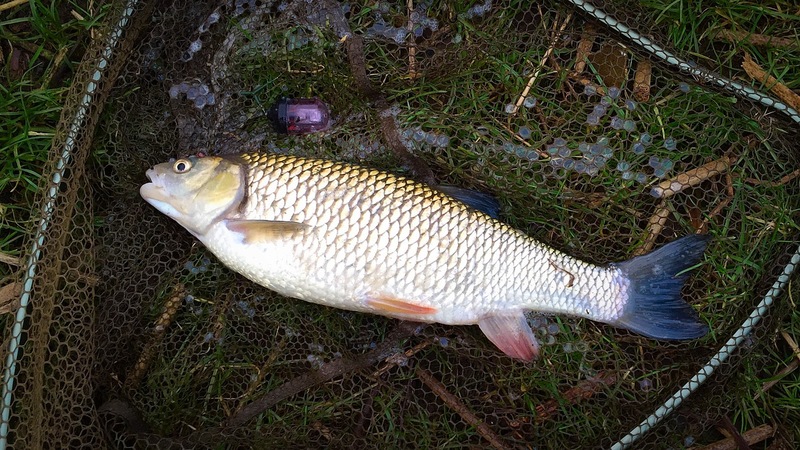 I have miles and miles of towpath I can fish, that’s the issue, it’s like trying to find a Yeti in a snowstorm, schoolies prolific, specimens not so. But, but, but…having been shared the location of a capture of a near double figure fish where I’d actually fished a couple of times before, there is plenty of luck needed but I’m hoping time and hours spent on the bank will only improve the odds that are clearly against me. Now talking of Yeti’s my youngest Son is really interested in them at the moment and I’m reading him various chapters from the Bigfoot Book, the Sasquash, Yeti and Cryptid Primate encyclopaedia. The story of the ‘Monkey Man’ was of much interest. 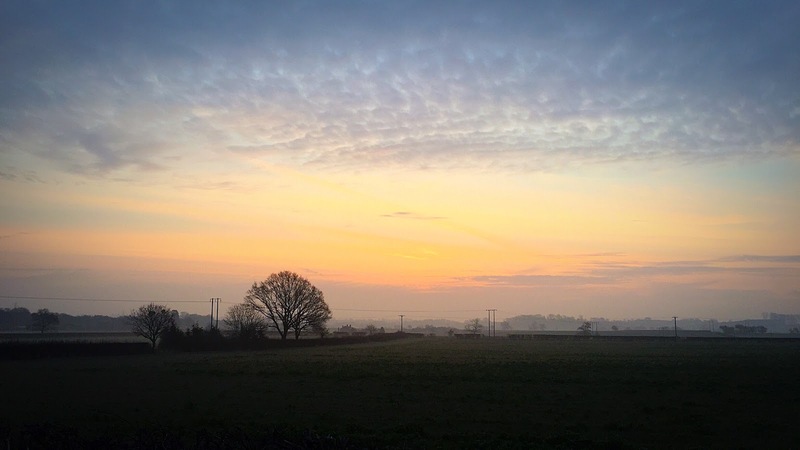 On the chilly evening of January 21, 1879,a man was walking home, with his horse-and-cart in tow, along the tree-shrouded lanes that to this day still link the hamlet of Woodcote in Shropshire to the tiny locale of Ranton, Staffordshire, England. 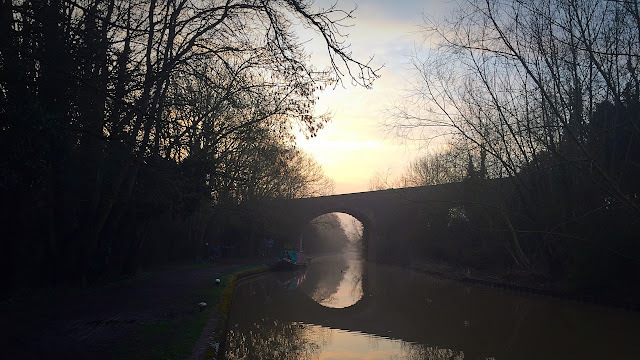 All was as it should have been until around 10.00pm, when barely a mile from Woodseaves and while crossing over Bridge 39 on the Shropshire Union Canal, the man’s life was plunged into chaos and terror. Out of the darkened woods emerged a frightening beast: it was large, black-haired, monkey-like in appearance, and sported a pair of bright, self-illuminated eyes that glowed eerily and hypnotically. And the story continues….I'll leave you to the conclusion. I had an encounter with a ‘beast’ myself and weirdly after not being too comfortable fishing on my tod on dodgy towpaths and riverbanks it’s become very palatable and I'm planning some evening sessions this time. So for the start of the 2016 challenge it was off to a whole new area of the Grand Union for me. It was chocolate brown which put me off at first, only around an inch or so of visibility but particularly with deadbait that's not an issue. When the clarity is like this I tend to leave the deadbait much longer than I usually would. It took a good while to find some fish, probably the fifth swim I tried and luckily I did as only had an hour left before I had to return home. I eventually caught 4 fish from the same swim, all schoolies but the biggest went 4lb 13oz and I had another 4lb 8oz., the bigger fish on deadbait. They fought better than expect too, encouraging signs but I might wait to come back when the clarity is a little better to see if it fishes differently. Now I had a small window of opportunity to fish the river tomorrow for a last gasp Zander before the season is at a close but my plans have changed yet again so luckily I've 5 hours in the daylight and not the couple of an evening I thought I might have had. The session will be an all out assault for them, fingers crossed they will be biting. So that's my plan scuppered ? I had planned to try and put in a last gasp challenge to try and maintain my long standing 2nd place on the Bloggers challenge River leader board but yesterdays huge dumping of rain and already saturated ground has probably put paid to that. I had two sessions planned, both were to try and target the local river Zander. This screen grab from the riverlevels website just shows how bad it is at the minute. My youngest sons school was closed due to the local road closures. The Warwickshire Stour went up 3 metres from it's usual 0.5 metres, Shipston Town was flooded and there were roads in and out of Stratford that I've never seen with flood water until yesterday, all a bit of a nightmare. I should have watched the weather more closely as doubt will become fishable before the season ends. Then again happy to be beaten by the unbeatable James Denison and Sean's huge Warwickshire Avon Pike deserves an award of its own. I might well have to start my closed season Zander challenge, and the quest for a cut double early. 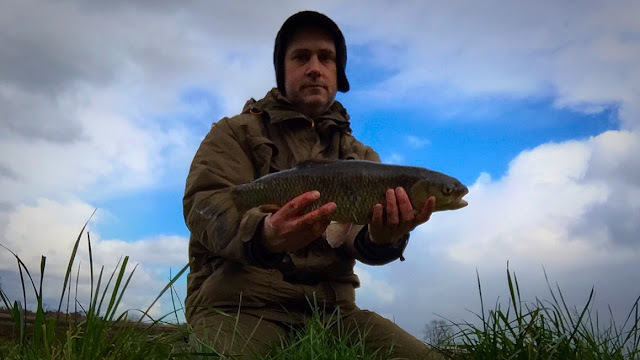 I found myself with a small window of opportunity so it was out with the link-ledger and the cheese paste and back to stretch where on a recent session the Chub were confidently feeding. 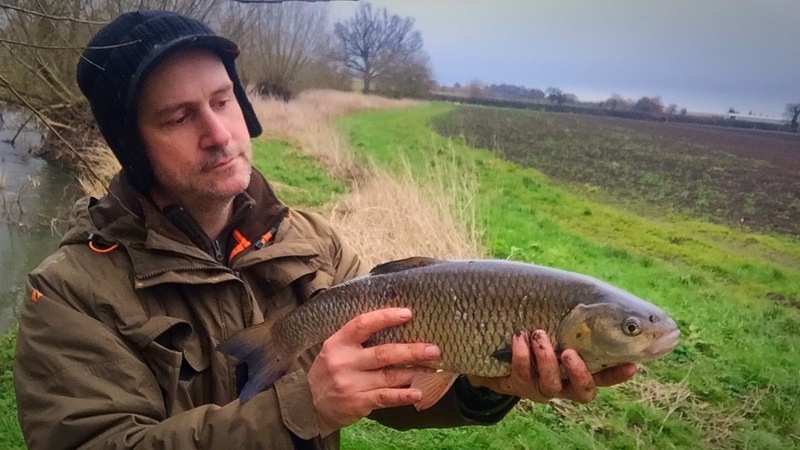 I’d missed out a couple or three swims at the last visit you see and as there was certainly a good stamp of fish in this short stretch it started to play on my mind if I’d missed out on something to lever that 5lb Monkey from my back. I’m not a rock music fan but from time to time can appreciate some of the songs of past that outshines the dross we hear today. Link-ledgering for Chub plays out a little like Led Zepplins 1972 song “Stairway to Heaven” where it has three defined sections and progressively increases in volume and tempo. WALLOP !!!! As all hell breaks loose, the Chub is hooked the rod is bent double and it’s headed to Snagsville. They are Greedy Ba*tards !!!!! , put it this way, they certainly ain’t shy round the buffet. Ever wondered why the obese colleague in work who doesn’t appear to eat, is the size he is, grazing you see, he is likely to be very discrete but, a birthday muffin here, a sneaky chocolate bar there, a trip to the drive through Maccy D’s it all adds up you see. So a large visual item of food in the greedy ones peripheral vision won’t last long, it’s that simple, they are opportunists. So bites come quick, if you don’t have a pull round within 10 minutes it’s time to move on. I’ve never found the need to add any freebies either, if the fish are in the swim, they WILL find the cheese paste. I bet you're as sick as seeing my ugly mug as I am with catching Chub less than 5lb. The amount of air traffic is staggering even over leafy Warwickshire, in days gone by the hands under ones backside anticipation waiting for a Barbel to wrench over the rod to send it river bound the flashing lights and background drum of the jet engine provides a nice distraction from the glowing isotope. That’s why I like the audible ratchet on the centrepin, you can be distracted as when there is a bite, you know about it. All very groundhog day though, flashing lights, a little noise, lots of bats and the odd owl. 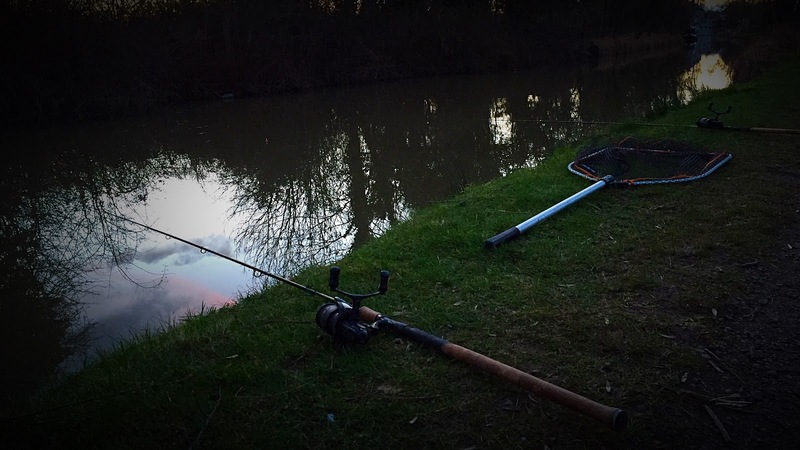 I was out the other night however (not fishing), clear sky, moon full, stars shining and something caught my eye…. A stationary stupidly bright light mid sky that appeared over what looked like Black Hill, about 2 or 3 miles as the crow flies. Now I watched this light for a good few minutes and it hadn’t moved from its position until all of a sudden it moved up vertically (In Z for the engineers) at a ridiculous speed over what looked like a considerable distance and then the light was no more, like a LED being switched off, it was instant. What the f**k was that, a UFO?, well I cannot explain it. 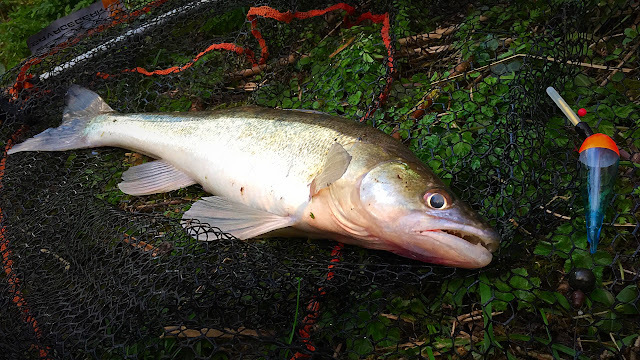 Now the first time I caught a Zander on the Grand Union it looked like no other coarse species I’d caught…. With their tapetum lucidum equipped glowing eyes, fang like teeth, angry and unapproachable, they are alien invaders to UK’s waters. But I love to catch them, I’m literally (ultimate bass) hooked. Now Sunday morning session at Lucy’s Mill with my mate Simon in tow wasn’t entirely dedicated to targeting Zander as the first half was a maggot feeder approach with a lobworm rod to see what came along (a silver bream would be nice or a Babrel ) and then a change of tactics for the last couple or three hours where I'd swop the hooklink on the Barbel rod and fish a section of Roach. 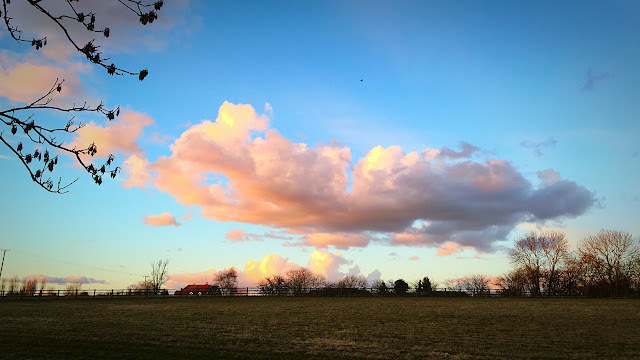 I wasn't feeling 100% as the night evening and night before was Rugby, drink and eventually bladderisation, usually though fresh clean air is the ideal tonic so to be fair an hour in I was feeling much better. 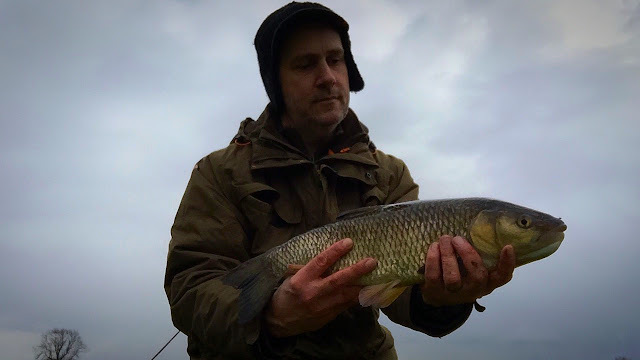 I'd managed a 3lb Chub and a couple of chublets to Simons small dace and roach in this time, it was hard going though and the day seemed to go worse not better. The kayaks not helping maters. A small Pike grabbed hold of a small dace I was retrieving but eventually it let go if it. Weirdly not a touch on the lobworm rod and then bait dropped chopped worm didn't seem to help attract the fish. I switched to a chunk of Roach and with 1/2 an hour I was getting twitches on the rod tip. I haven't done much river fishing for Zander but after a few taps I stuck in to the fish and felt some nice resistance and called Simon over. Sadly a little like my initial fishing sessions for Zander on the local canals, the fish and hook parted company. I doubt the hook had a hold, maybe the fish just released the section of Roach from its jaws. Simon left at 11.00 I stopped till 12.00 and left the two Pikers with four rods out biteless.